For all the latest info and updates visit the official Ferry Corsten website! As a 9-year old kid growing up in Holland, Ferry Corsten became obsessed with electronic music and started producing and djing at a very young age. Since then the Dutch musician has grown into one of the best DJs in the world, playing to hundreds of thousands of fans across the globe and managing over the years to produce at the same time a slew of hits one after the other… amassing over the years numerous best-selling albums, and nearly a dozen gold singles. He is known for his trance classics under his aliases System F, Gouryella, Veracocha, Pulp Victim, Albion, etc.. and his current dance hits and remixes under his real name Ferry Corsten such as Rock Your Body Rock, Fire, Punk, Made of Love, Beautiful, and many more. He has remixed tracks from all genres of music from U2, Faithless, The Killers, Moby, Nelly Furtado, to Public Enemy and has collaborated with various dance and pop artists such as Duran Duran, William Orbit, Howard Jones, Tiësto, Armin van Buuren, Novastar and many more. 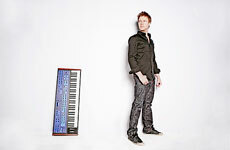 Over the years, he has released artists albums under the names System F and Ferry Corsten. His last artist album is entitled “Twice In A Blue Moon”, containing the hit singles “Made of Love”, “Radio Crash” and “We Belong”. He also has a myriad of successful compilations such as platinum selling Trance Nation series, Passport, and his latest compilation series Once Upon A Night (OUAN). Curious to check out the daily life of Ferry Corsten? 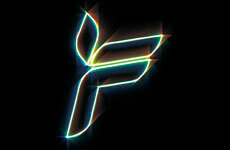 He has released the DVD Ferry Corsten – Backstage. A documentary that allows you into the life of this artist and see Ferry’s daily routine as he prepares for both the release of his last artist album and upcoming shows and events. Currently, this renowned DJ/producer, is touring the globe with his Once Upon A Night: The Experience show, and has been busier than ever strengthening the link between his own musical production and DJ show elements. Once Upon A Night, the mix compilation hit number 1 on iTunes USA just a week after release. Volume 2 is set to its release early October and will have another arsenal of mind-blowing tracks for which Ferry has always been renowned for. In the meantime Ferry has cooperated to develop a number of applications as well. Pulse, a dance themed rhythm game for iPhone and PC digital distribution network Steam; Cue. Play. DJ, the most advanced DJing solution ever created for the iPhone OS platform; And last but not the least, his very own Ferry Corsten applications where fans can get updated on all his latest info, news and chat with other Ferry Corsten fans from the luxury of their phones. When not busy in the studio, Ferry can be found recording his weekly radio show Corsten’s Countdown, a weekly radio where the listeners get to vote for their favorite tracks each week. These votes determine the Corsten’s Countdown Chart, a Top 10 show at the end of each month. 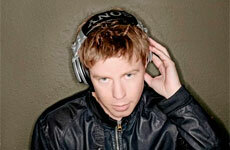 Corsten’s Countdown is also recently available to download as a weekly podcast. 2010 is set to be one of Ferry Corsten’s busiest years yet. Corsten just finished the follow up of his latest compilation album Once Upon A Night Vol. 2 with exclusive material and busy touring the globe with Once Upon A Night: The Experience, preparing another artist album under his own name which will be released somewhere next year.